First divided the people into two parts - body and soul of the philosopher Plato. He said the body is mortal and immortal soul. That have adopted the idea of Christianity, and introduced her as a general. Until the last century, experts have noticed the Bible that the Bible is not an immortal soul to speak. Genesis 2.7 - then the Lord God formed man dust of the ground and breathed into his nostrils the breath of life. So the man became a living being. Body + = breath of God, man, or soul. Man became a living soul, but it got! Soul is not something we own, but what we have. Satan is a master of lies and already the first people in Paradise lie that they are immortal. What is going on with the man after death? Ecclesiastes 12.7 - Before the dust return to the country, where used, and the spirit returns to God who gave it. After the death is actually a man falling apart and falling into complete unconsciousness. While no part of man does not survive, not with him also to make contact. Death is to the point where no one can go back to something about it. The experience of so-called brain death are obtained when the brain is still functioning. Article Why is there evil, we read that Satan and his fallen angels dominate our world. In 1848, in Hydesville began increasingly communicate via so-called Spiritism is deceased. It's a secret knock, causing ghosts to the materialisation of the loved one. The Bible speaks about the story of Saul. 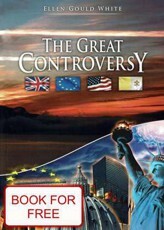 God answered Saul, and therefore went for the other ghosts - satanic. 1. Samuel 28,6-7 - Saul had asked the Lord, but he answered him either by dreams or by Urim or by prophets. So, ultimately, he said to his servants, "Find me a fortune-teller. I will go to her and inquire of her. " God attempts to contact the spirit world supposedly banned, because not correspond to our dead friends, but Satan spirits, who know all our friends. The Bible also speaks of hope. God has power over death and the second coming of Jesus Christ, our body will awaken again. John 6.40 - For this is the will of my Father who sent me - that anybody who sees the Son and believes in him should have eternal life. And I will raise him up at the last day. John 5,28-29 - Do not marvel at it, comes the moment when all who are in the graves shall hear his voice and come out - those who have done good will be resurrected to life, but those who did the evil will the resurrection of the court. 1 Corinthians 15.3-7.12 - I gave you the main thing, I also received: that Christ died for our sins according to the scriptures, was buried and was resurrected on the third day according to the Scriptures. He appeared to Peter, then twelve, then showed more than five hundred brethren at once (some have fallen asleep, but most of them still alive), then pointed to James, then all the apostles. So when the preaching of Christ that was resurrected from the dead, how can some of you deny the resurrection? 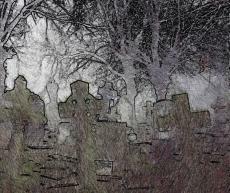 Related articles from category - What is death? A criminal on the cross - is already in heaven, or when the second coming? Clinical death - what does the Bible say? AmazingHope.net - Death, is something after death?